THMiniatures sind wieder bei Kickstarter unterwegs. We berthed in this new world just a few days ago and already the thick humidity surrounding us has become our enemy. This jungle is now our land of exile. The deeper we go into the jungle the more we make it our own. 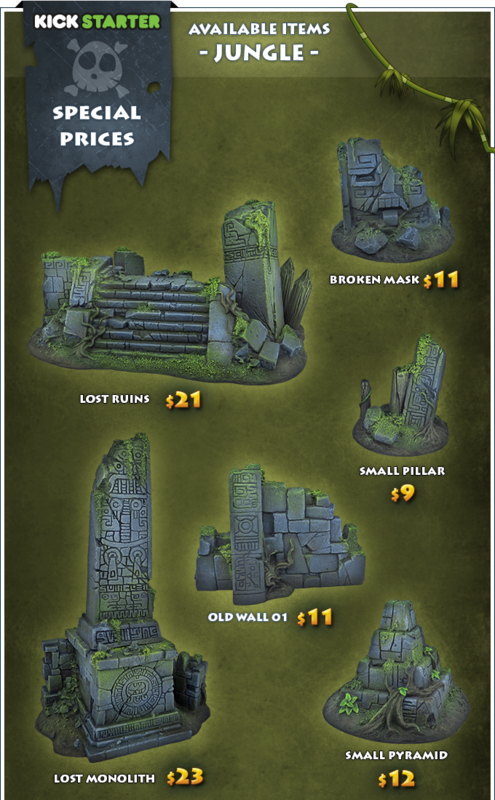 Rough tracks lead us relentlessly toward ruins that are revealing themselves through the verdant space. Witnesses of fallen civilizations, they majestically arise before us in silence. We can imagine these people who built such monuments long ago, leaving their marks in the stone that only time itself will erase. In this maze made of stone walls overrun with vines we will do battle in the name of our king! “To arms!” exclaimed the quartermaster just as a gigantic shadow looming over us… These were the first moments of this dark chapter that is ours. This KS works with a system of shopping carts. Given the number and variety of the models proposed in this range, it is easier for you to choose your own package for a fixed price. On the right you will find 4 different pledges. 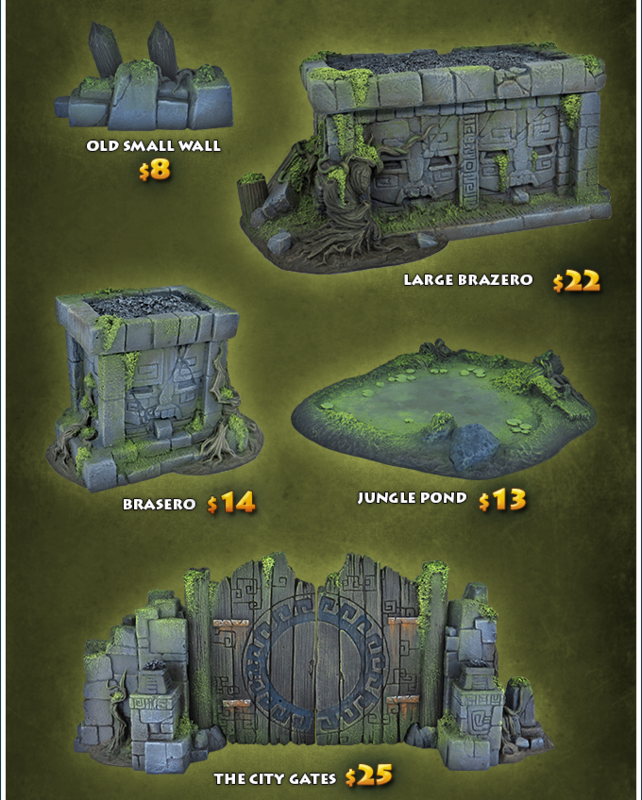 Each of them establishes an amount to spend on Jungle models. 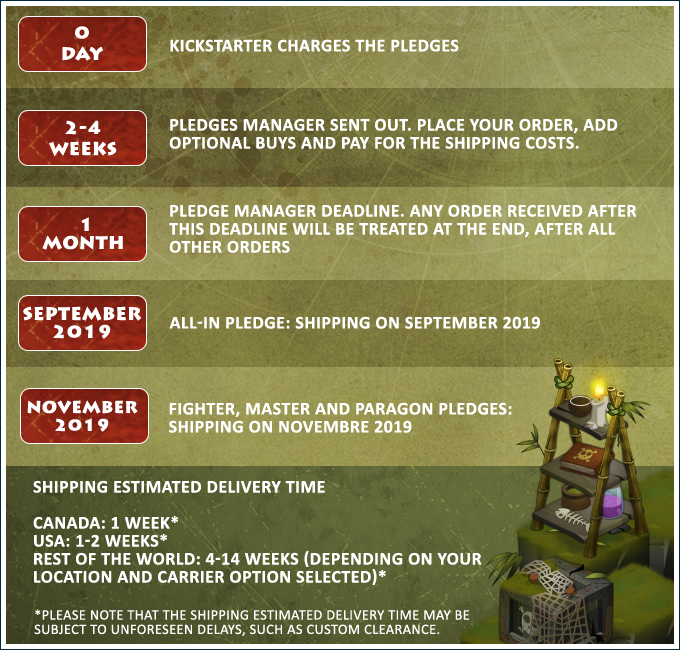 THM will ship the JUNGLE ALL-IN pledge orders in September 2019. Two months before everyone else! 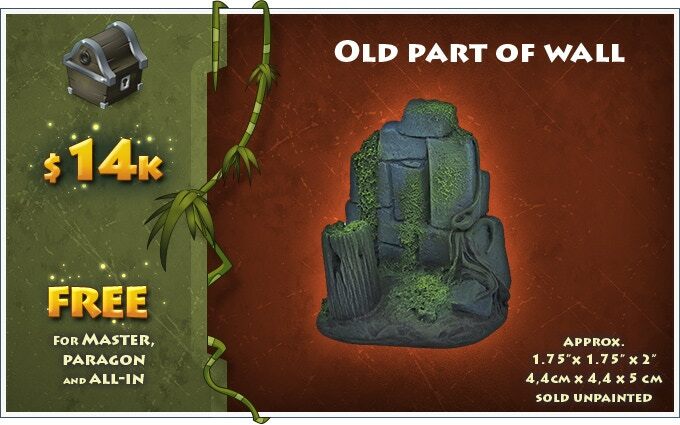 With the exception of the JUNGLE ALL-IN pledges, it is not necessary to immediately choose your items when you pledge. 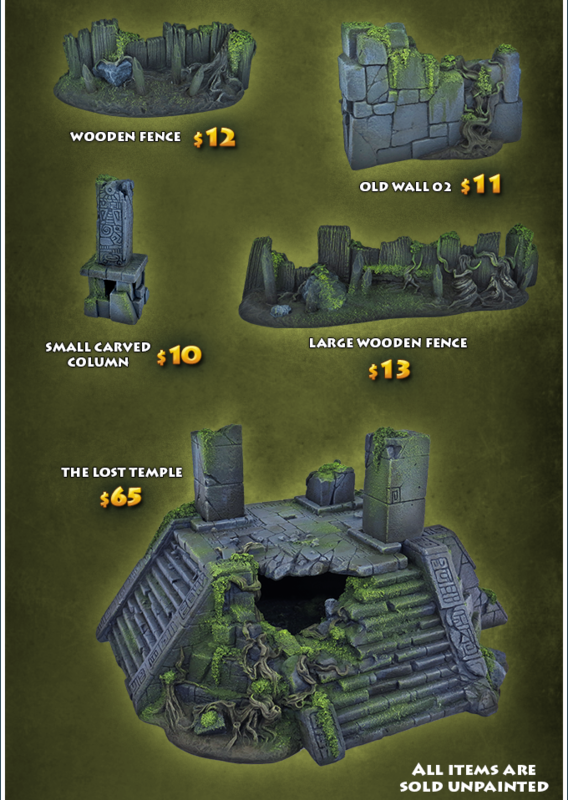 THMiniatures will send a complete list of all the models available once the campaign has been funded. This ensures that you can still pick items that will get unlocked during the campaign! The Fighter pledge is $70 CAD. 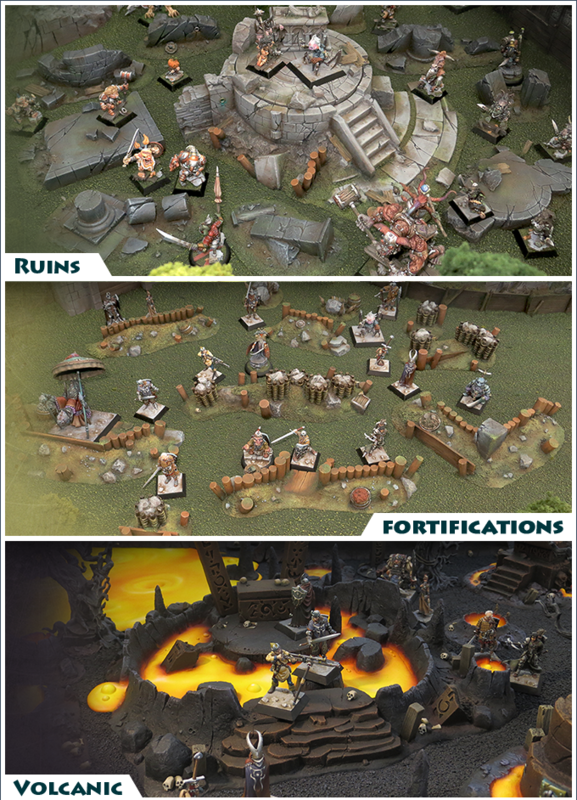 It lets you choose from the entire range offered including all models released during the campaign. The Master pledge is $150 CAD. 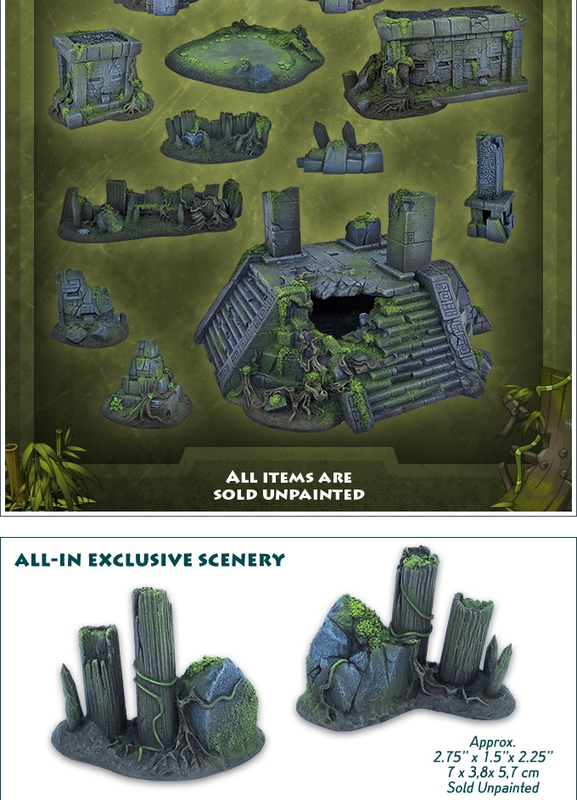 You can choose from the entire range offered including all models released during the campaign. 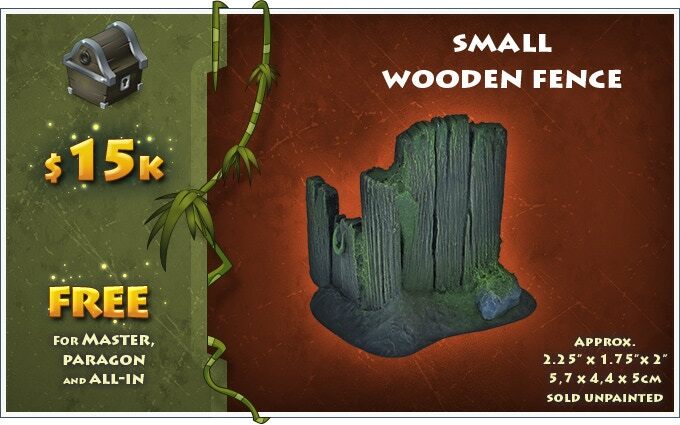 As a bonus, this pledge includes the first 5 Bonus Goals that are unlocked, added for free in your package! 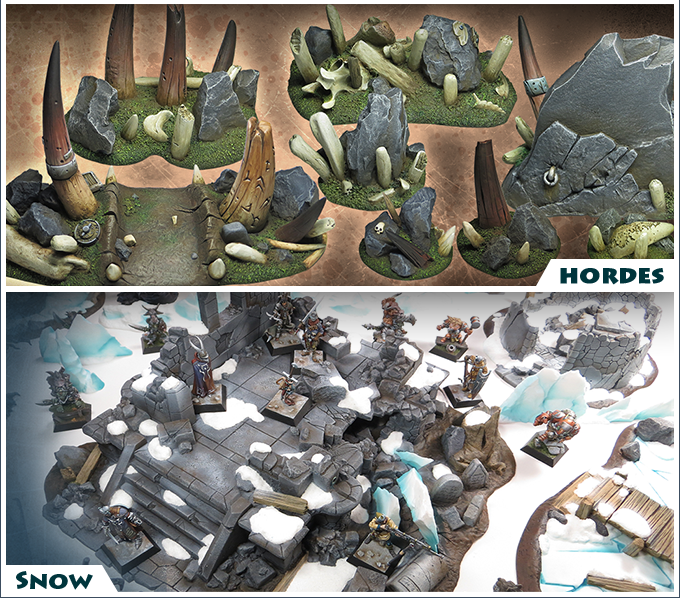 Choose an amount of $220 CAD from the entire range, including every models released during the campaign. ALL the Bonus Goals that are unlocked during the campaign will also be included in your package for free! 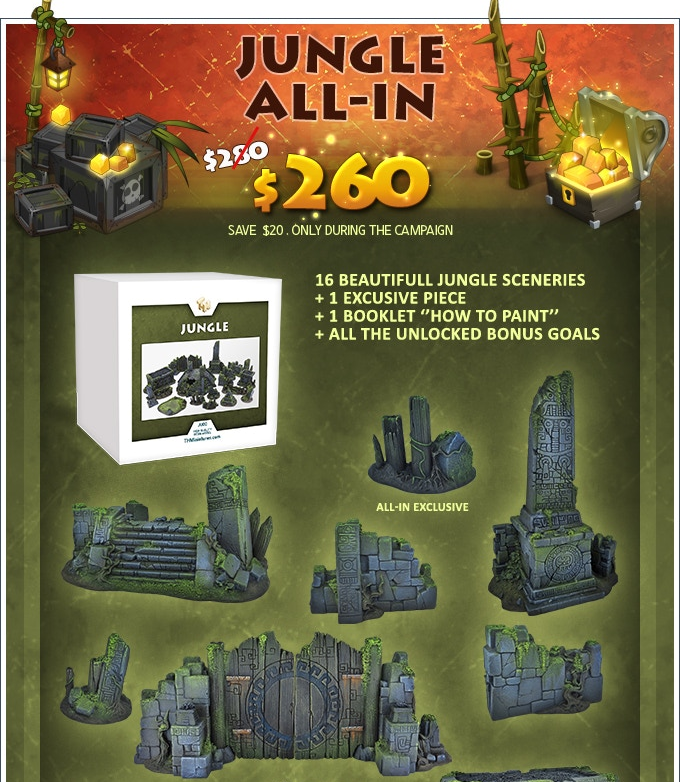 The JUNGLE ALL-IN pledge is $260 CAD. 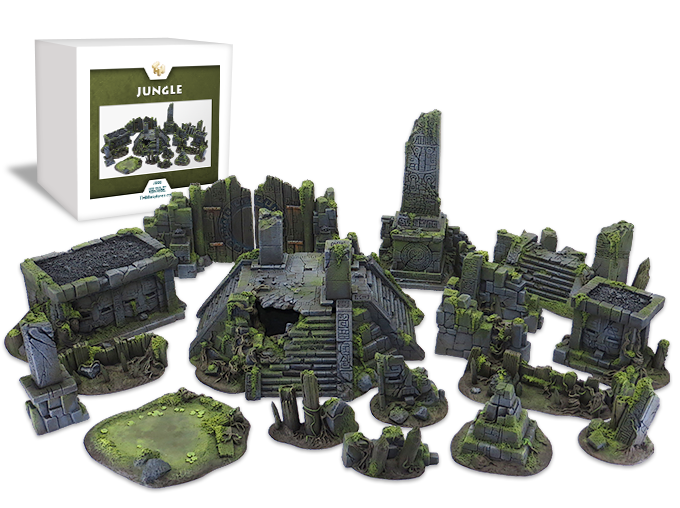 This pledge offers you the entire Jungle Starter Range, including 16 sceneries + an exclusive model + a booklet „How to paint“ + all the Bonus Goals that are unlocked during the campaign. Die Kampagne läuft noch 17 Tage. Alles sehr schön anzusehen. Sieht etwas Comic artig aus. Vielleicht stört mich das etwas, denn mir wäre es zu teuer. Dann finde ich es auch sehr unpassend bei einer 150€ pledge nur die ersten fünf goals zu erhalten. Klingt unruns für mich. Abgesehen davon sind die beiden ersten SG auch noch nicht mitreißend.